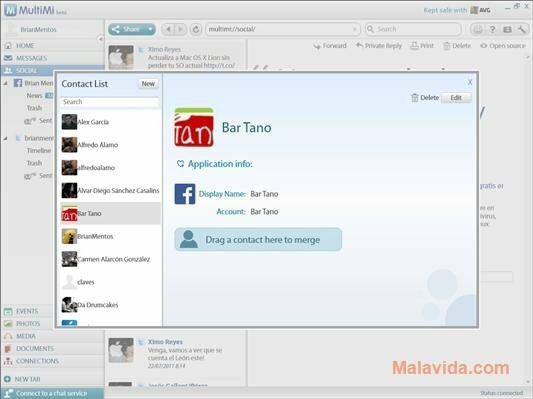 Each day there are more social networks and the amount of different email accounts that can be needed to stay in contact with all your friends and family is vast. 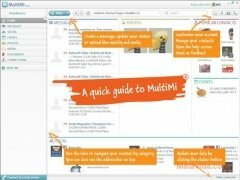 But thanks to tools like MultiMi this is a task that is much easier. 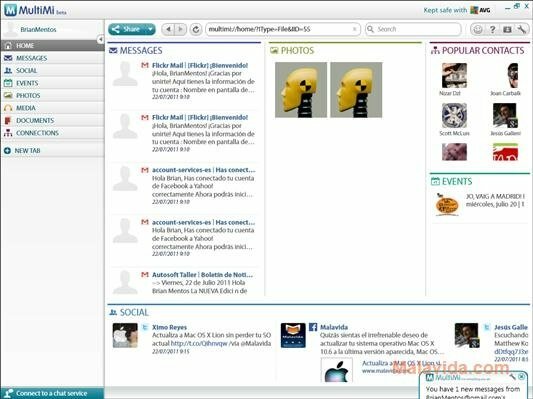 All this means that from a single application,and by means of an elegant interface divided into side tabs, you'll be able to access all these online services without having to open the browser, something that can save plenty of time. 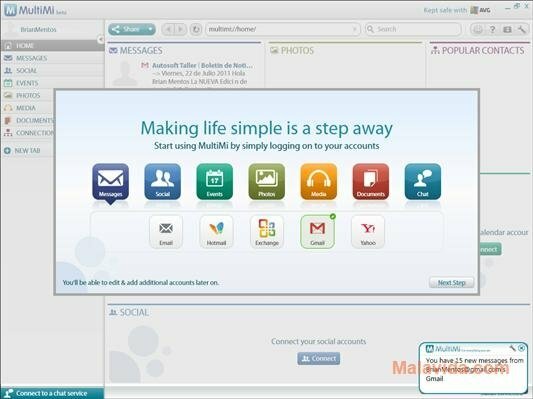 All your social networks and emails on a single interface. 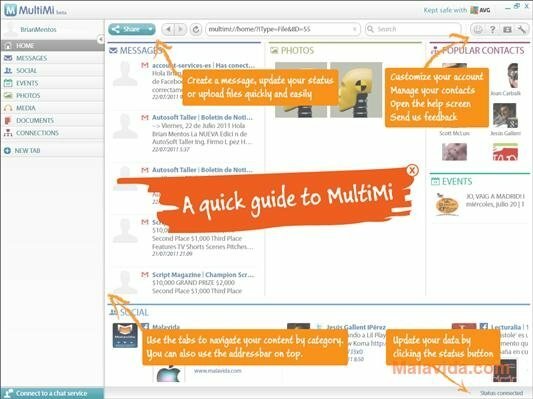 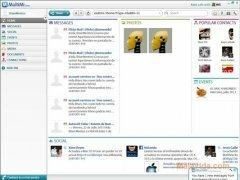 Furthermore, thanks to MultiMi you can search for information within documents, emails and even comments on social networks, to be able to quickly find anything. 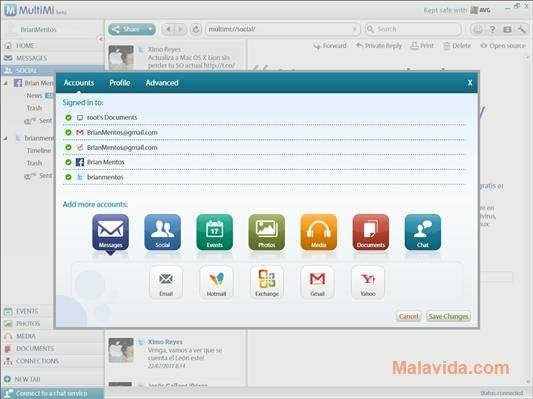 And all this can be made with a very simple configuration in which all you have to do is type in the user accounts and passwords for the different services. 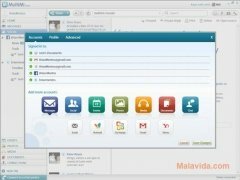 With this program on your computer you can access all your online accounts at full speed.